Piercing eyes and moving words: Sheen Preaches in Chicago. Vatican City, June 28, 2012 — Today, Pope Benedict XVI promulgated the decree recognizing the heroic virtue of Archbishop Fulton John Sheen, who is now titled “the Venerable Servant of God.” This next significant step in the Cause for Archbishop Sheen’s beatification and canonization caps a process that began almost exactly 10 years ago when Bishop Daniel R. Jenky, CSC, of the Diocese of Peoria, IL, opened the official diocesan inquiry. 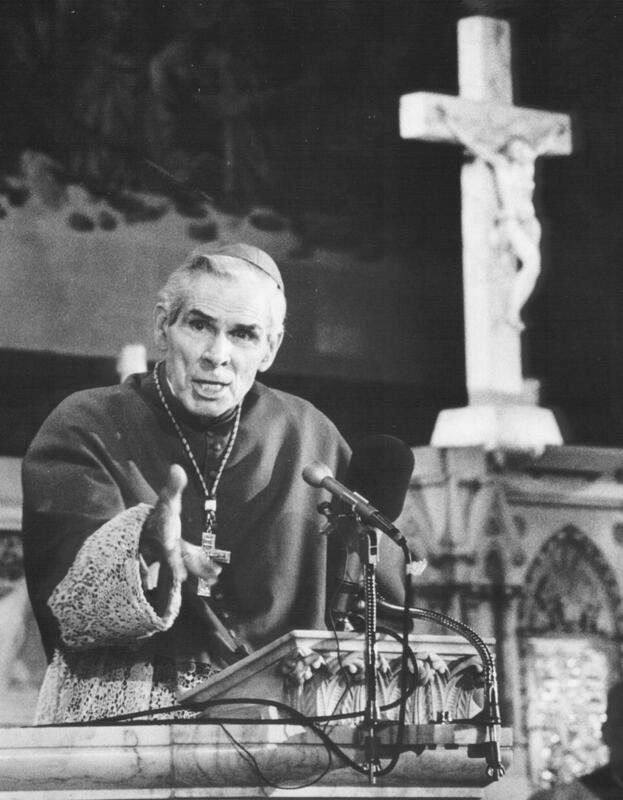 This investigation yielded over 10,000 pages of testimony that were then scrutinized and summarized into two, 1,000-page volumes called the “Positio,” stating the “position” why Fulton Sheen should be a saint. After being presented to the Pope last May, these volumes underwent careful study by the team of theologians, bishops and cardinals who advise the Holy Father through the Congregation of the Causes of the Saints. Venerable Fulton’s cause for beatification continues as the Vatican canonically, medically, and theologically scrutinizes the alleged miraculous healing of a stillborn baby through Sheen’s intercession. Archbishop Fulton John Sheen Foundation. Simple theme. Powered by Blogger.